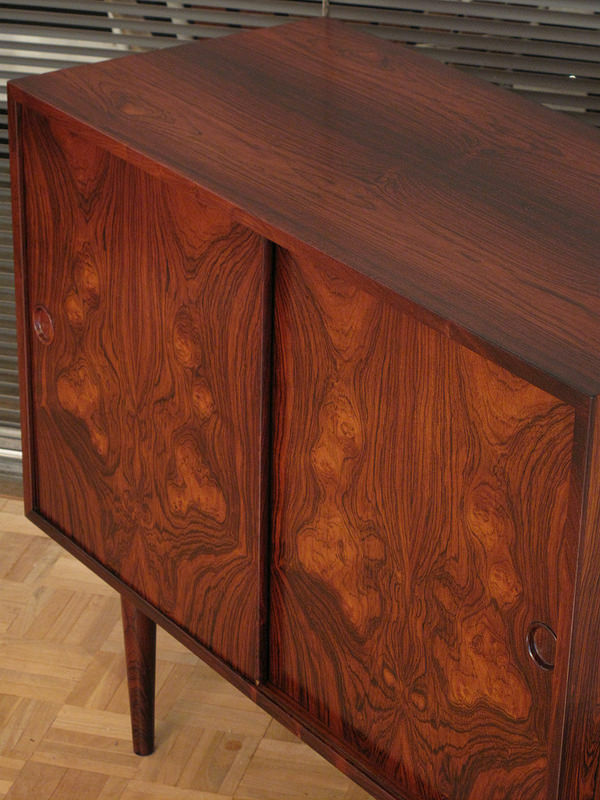 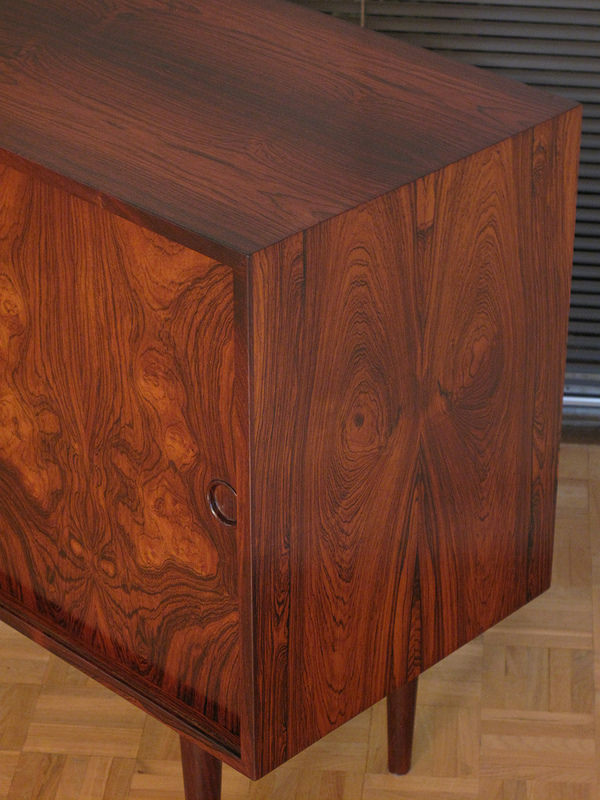 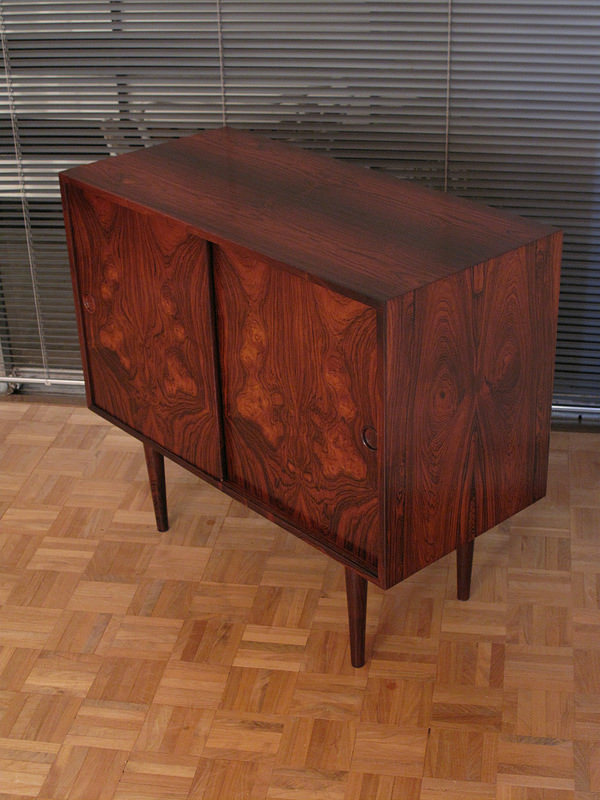 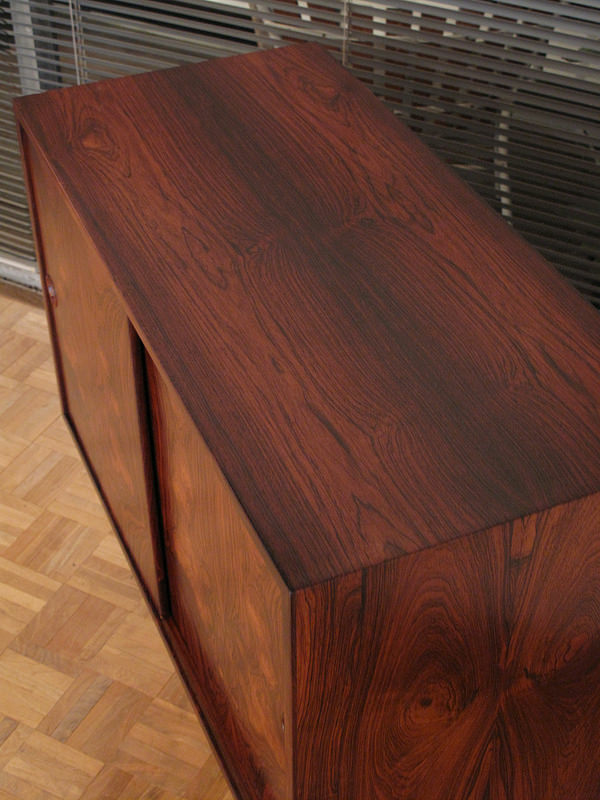 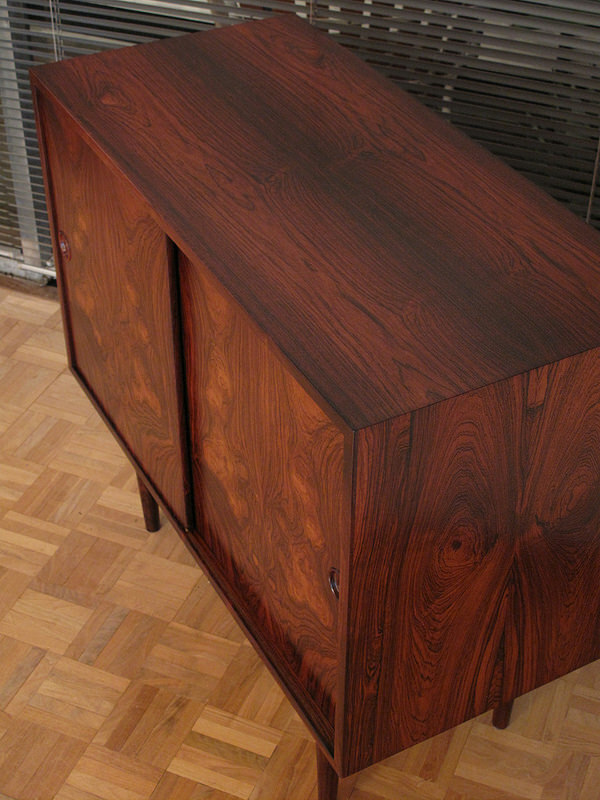 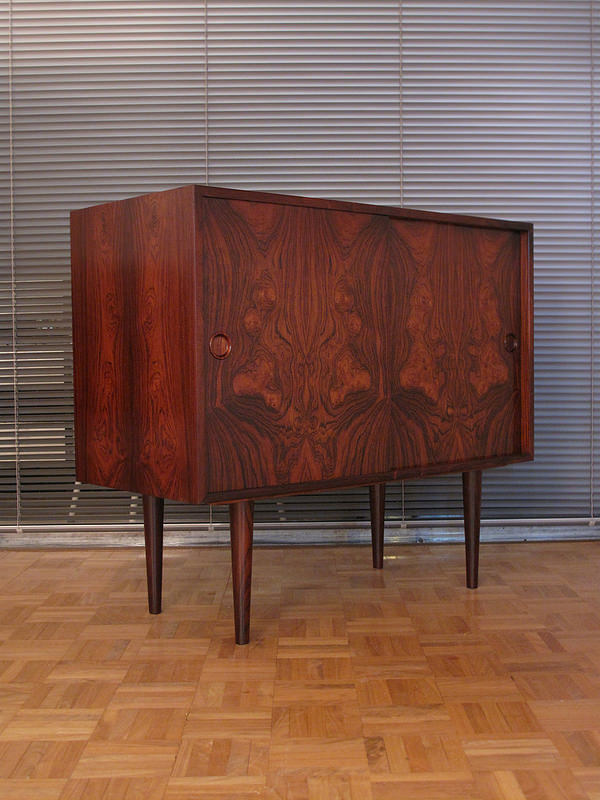 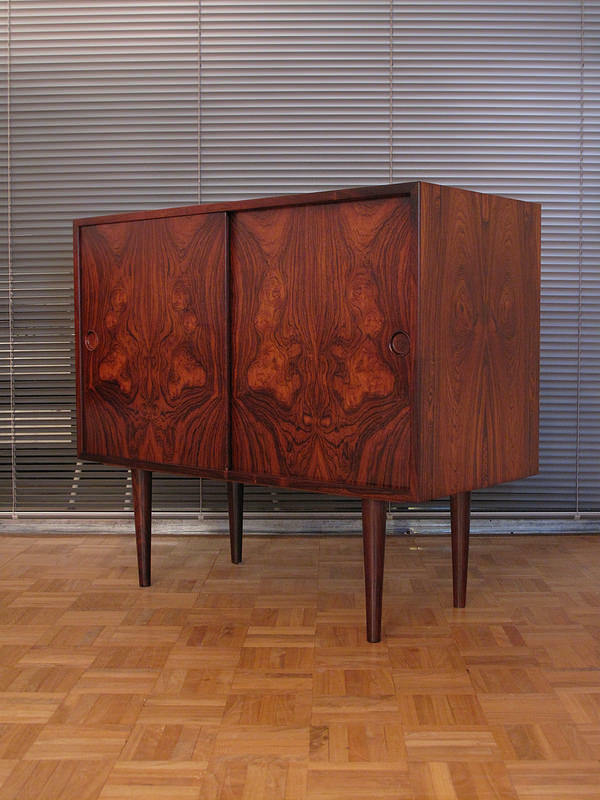 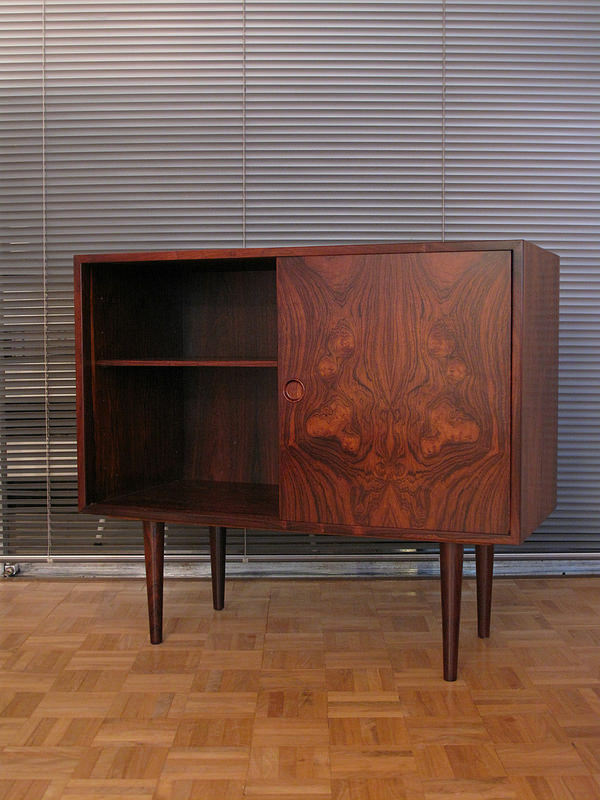 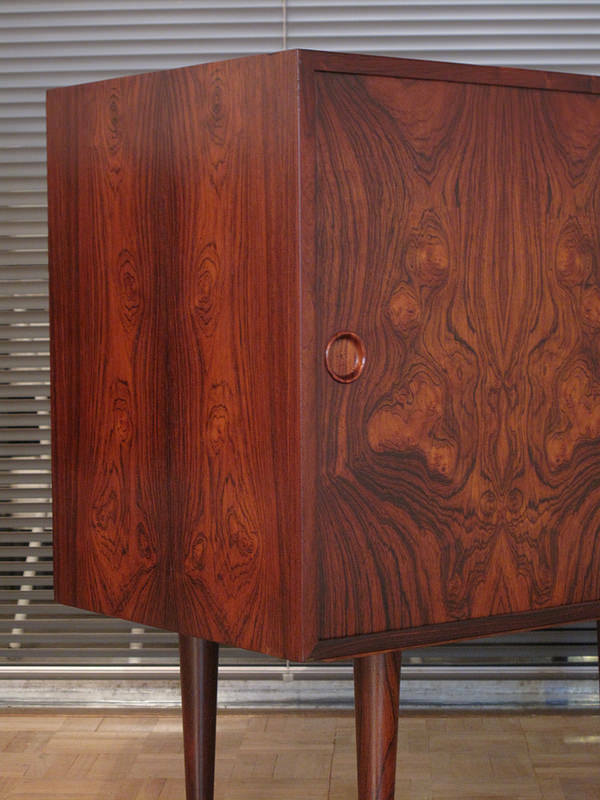 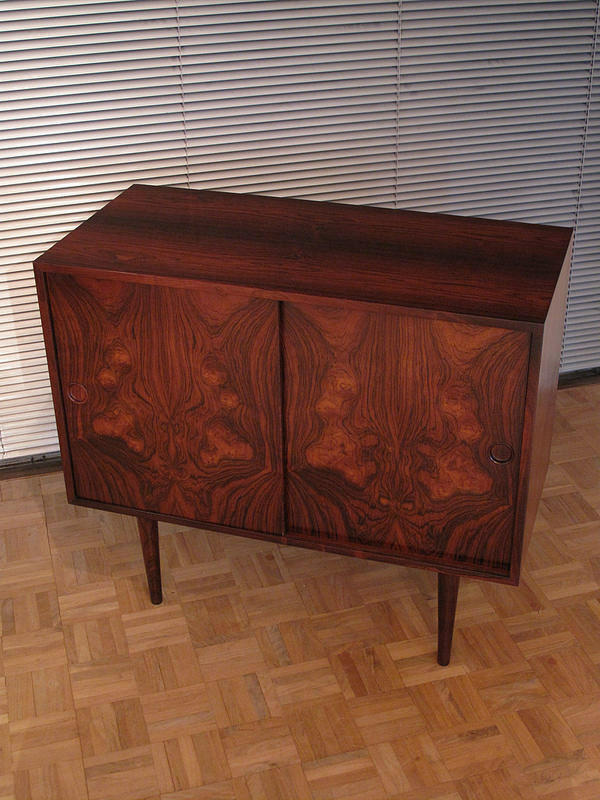 Wonderful little Brazilian rosewood cabinet designed by Kai Kristiansen for Fornem Mobler, Denmark. 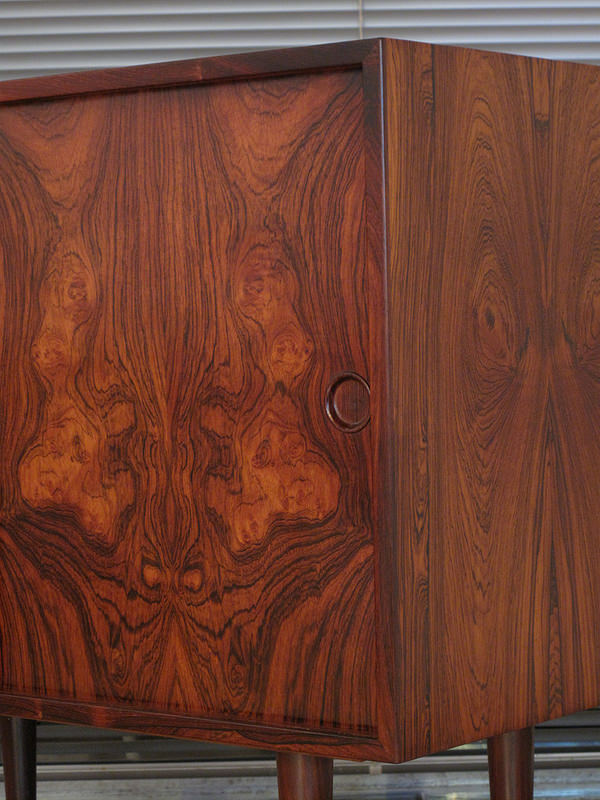 Stunning and exceptional veneers displayed on this particular example. 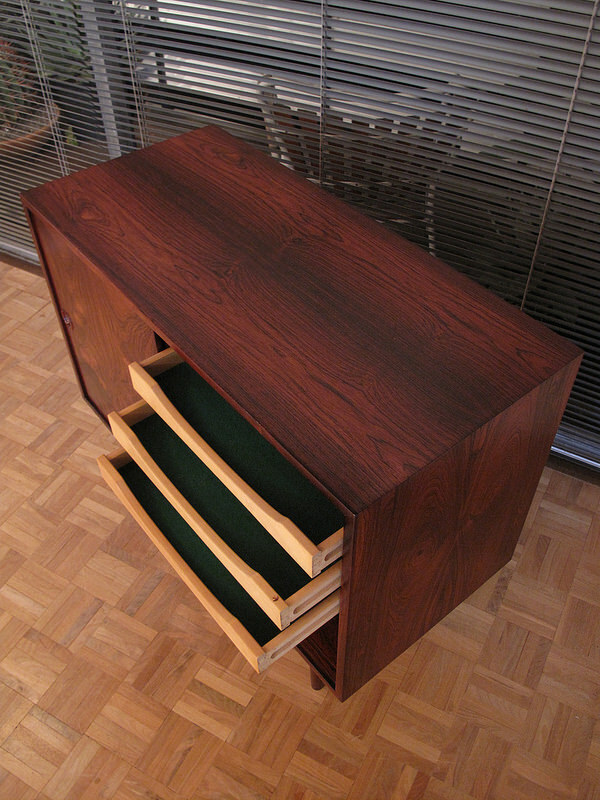 The interior is also finished in rosewood, here you will find three green baize lined drawers and an adjustable shelf. 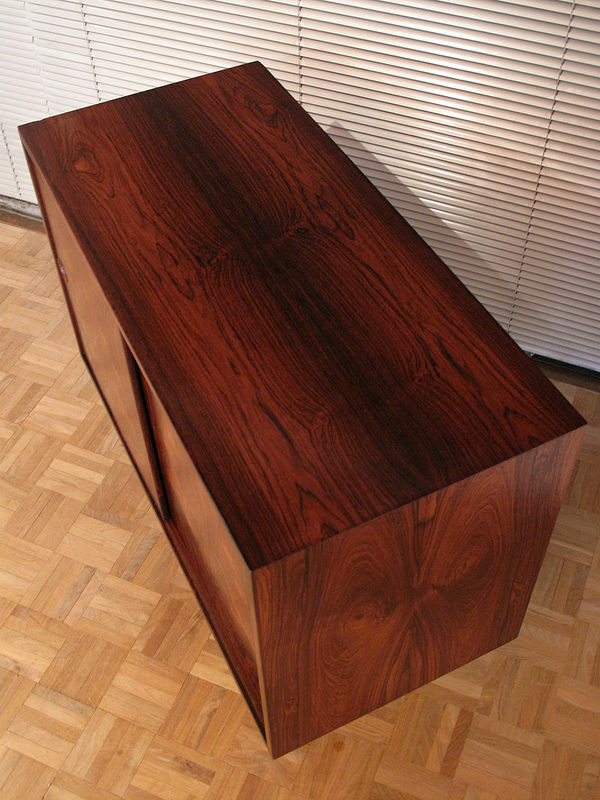 These are very versatile pieces of furniture due to their compact size and can be used in a variety of places in the home from hallway furniture to bedside cabinets. 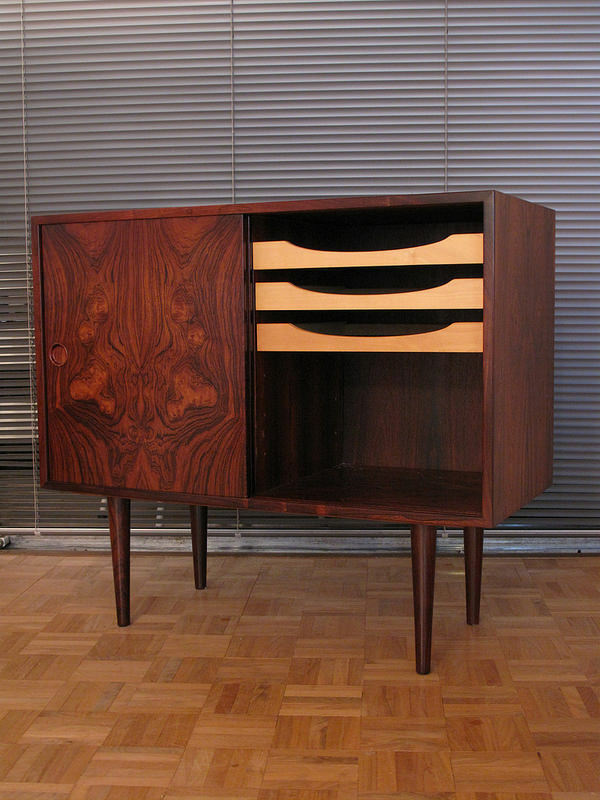 We currently have another identical cabinet should you require a pair.